Put on your blindingly white racing gloves and hop in the seat of the “most advanced” vehicle the world has ever seen. It’s the newest Chevrolet Corvette, and with its pop-up headlights and computer activated manual transmission, you’ve never felt anything like this before. It’s time to shift gears randomly and drive through a neon saturated hell-scape because you’re driving a Corvette that’s lightyears ahead of the competition. With your unidirectional turbine wheels, you can take the world by storm and slalom through glowing fluorescent lights with ease. As the commercial never ceases to remind you, “You’ve never seen anything like this before.” This Corvette is the first Corvette equipped with a liquid crystal display that’s updated 16 times every operating second. Are you ready to drive the most advanced production car on the planet? 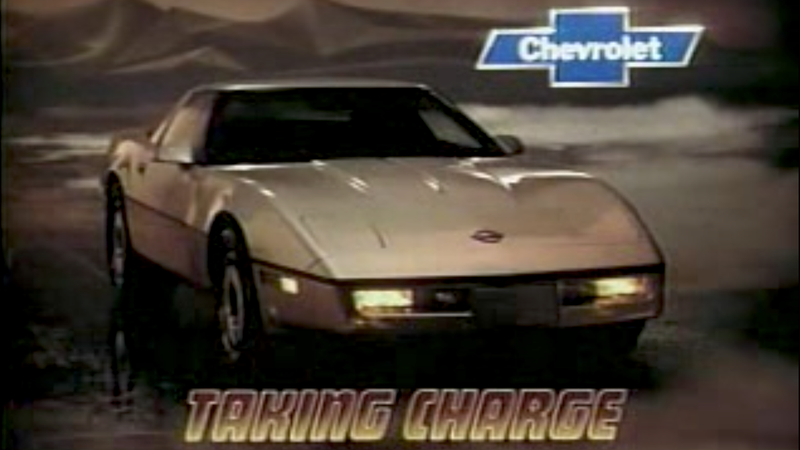 It’s the 1984 Chevrolet Corvette.